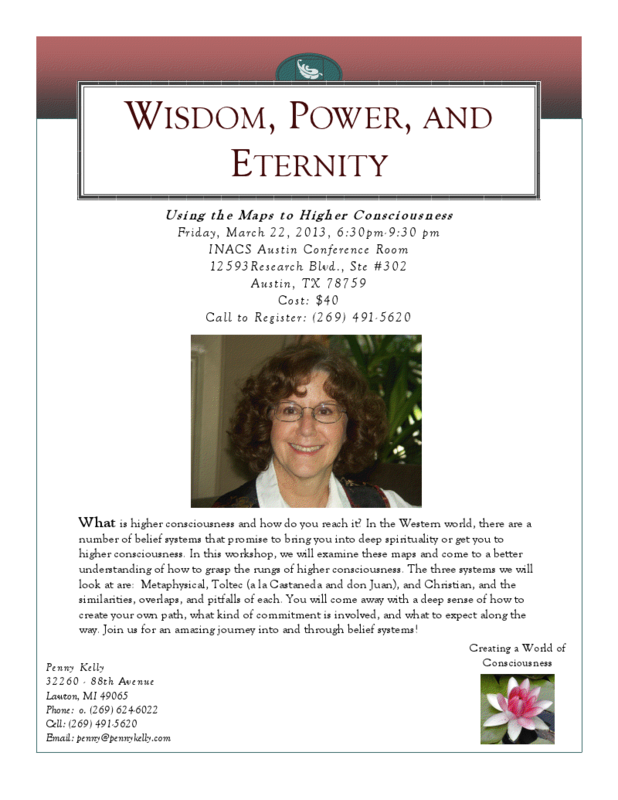 Tuesday, March 19, 2013, 6:30 p.m.
Penny Kelly is an author, teacher, speaker, publisher, personal and spiritual consultant, and naturopathic physician. In 1979, while working as a tool and process engineer for Chrysler Corporation, she experienced a full, spontaneous awakening of kundalini that completely changed her life. She left Chrysler and returned to school to study the brain, consciousness, perception, cognition, intelligence, and intuition. This was followed by over a dozen years of work as an educational consultant specializing in the brain-compatible and accelerative teaching techniques of Georgi Lozanov. In 1987, Kelly moved to southwest Michigan and for 25 years has operated Lily Hill Farm and Learning Center. 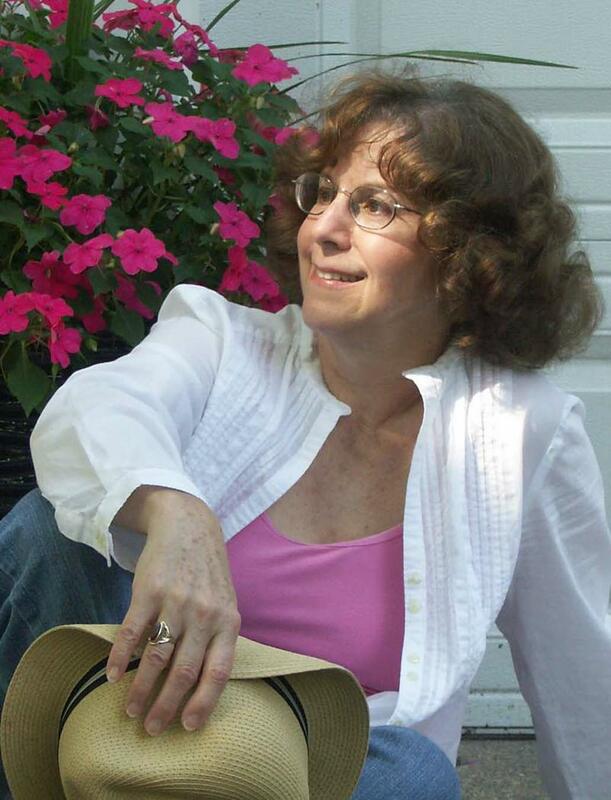 Today she travels, lectures, and teaches a variety of classes and workshops including Developing the Gift of Intuition, Organic Gardening, and Getting Well Again Naturally. She maintains a large consulting practice, writes books and poetry, raises chickens and beef cattle, and grows organic vegetables and small fruits. In recent years, she has been involved in scientific research and investigations into consciousness at Pinelandia Laboratory near Ann Arbor, Michigan and has been a subject of research as well. Kelly holds a bachelor’s degree in Humanistic Studies from Wayne State University and a doctorate in Naturopathic Medicine from Clayton College of Natural Health. She is the mother of four children and has written six books: The Evolving Human, The Elves of Lily Hill Farm, Robes, Getting Well Again, Naturally, Consciousness and Energy, Vol. 1, and Consciousness and Energy, Vol. 2. Kelly lives, works, and writes in Lawton, Michigan.